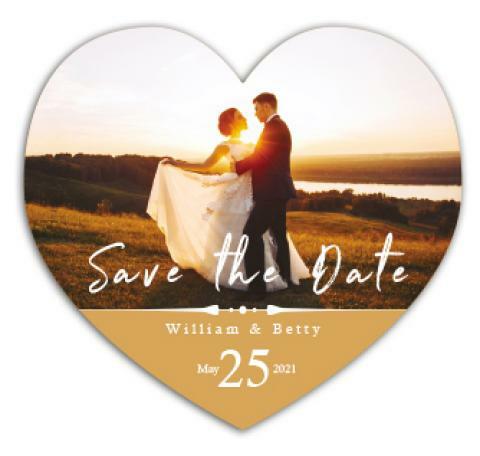 Custom printed wedding magnets – 3.25 x 3 heart-shaped save the date magnets conquers minds and beautifies dull refrigerator doors. This magnet is largely employed by love-struck couples to announce their engagement and is often perceived as an effective pre-invitation. Many couples know that after sending away this magnet there are very high chances of the intended person making it to their wedding. Couples also know that their union is going to be remembered for long because people don’t let it go off easily.